Now that the iPhone X‘s big unveiling is less than a week away, we can start to get down to some of the nitty gritty details of just what the new flagship phone will do and how it will handle some of the changes that are being made for this particular version of the iPhone’s operating system. 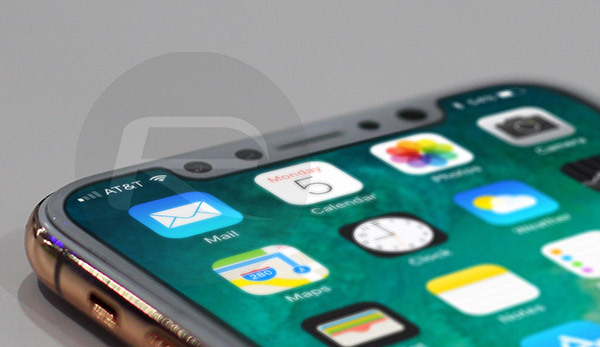 Following the iOS 11 GM leak ahead of the iPhone X’s official debut, there have been many questions answered, all pertaining to how iOS will handle that notch at the top of the screen. As we already know, iOS will need to make allowances for the fact that its status bar will be broken up for the first time. With the camera and sensors getting in the way of where the clock would normally live, things have had to change, and following the iOS 11 GM leak we mentioned further up, developers like Steve Troughton-Smith and Guilherme Rambo have been picking it apart to see what they can find. First up, we have a video shared by the latter displaying what appears to be a new “loading” animation that will appear to the right-side of the notch, and to me, it looks very much like KITT’s LED light from the famous Knight Rider series. Those old enough to know what I mean will already have thought of this, and if you aren’t, then you need to search it. You’ll see what I mean! Steve Troughton-Smith has also shared some images of how the double-height status bar will behave when something like a call is in progress or audio is being recorded. The breadcrumb trail that allows iOS users to move back to a previous app or function is also shown in his images, and it appears to reside just where you might expect it to, below the clock on the left-hand side of the notch. Troughton-Smith also shared images showing how the keyboard will look, with buttons for Siri and emoji appearing below the keyboard with a space between them. This space, we presume, is where the software Home bar will be on a real iPhone X. Moving on to perhaps our favorite discovery, Rambo has shared a video in which we get to see a new animation that takes the status bar’s battery icon – as well as anything else there, like the Airplane Mode icon – and temporarily pushes it aside with a green charging icon whenever power is supplied to the iPhone. With Apple set to announce three new iPhones, including the iPhone X next week, we will finally get to see all of this running on the intended hardware. Splash some cool water on your crotch!